Picture this: The Giants are playing the Eagles on Monday night football. Going into halftime, the Giants are up by 1. The Giants come back from the locker room to take the field but a key element is missing…their Quarterback. Think about it, how do you think this is going to go down with the Giants missing Eli Manning? Sure they may be able to throw in the backup, but they have spent countless hours training, preparing and molding their team to work around Manning and his skills. What if he was permanently out of the picture (sorry Eli)? What if this was your business? Most companies have at least one Key Person they rely on, whether it is you, the owner or maybe even an employee that holds the Quarterback position. How many “eggs” does that Key Person hold in his or her hypothetical basket? If they died or placed on the “injured reserve list” would that mean the death of your company? 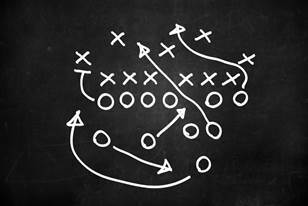 Do you have a backup Quarterback in place and a game plan for the “what if” in your business? Who is it for? The business will take an insurance policy out on the Key Employee(s) they believe bring the most value. This type of policy protects the company from the loss of a key employee. How does it work? If that key person pre-deceases the benefit gets paid to the company for the business to do what is necessary to keep the doors open. What is the money used for? The benefit can be used for multiple things. One example, a key employee generally is one of the most valuable people to the business. Without that one employee, the business will lose the income the key person would typically bring in. The benefit can be used to supplement that money for the company until they find another qualified replacement to take the position. How much is needed? This will vary upon company. The first question that should be asked, how much do you think that key person is worth for the past year? You can use that as a starting point. How do I know which policy to look at? Focus on your budget, protection does not have to be expensive it just has to work when it’s needed. What if the Key Person that we insure leaves the company? Let’s face it, we live in a world where people no longer stay with companies for 25+ years and retire. When looking into policies makes sure there is flexibility to make the changes you need as your circumstances change. The goal of a Key Person policy is to protect your most valuable asset: Your Company’s potential to grow. Without Eli Manning, the Giants may have the potential to win the Super Bowl but they need to have their “what if” backup plan if the need to pick up a free agent midseason. What’s your company’s backup plan?